Prime Minister Narendra Modi reached his home turf Gujarat on Monday for a two-day visit. In Saurashtra region’s Jamnagar, the Prime Minister inaugurated various development projects and addressed a rally. From Jamnagar, Modi also visited Ahmedabad to inaugurate the first phase of the 6-km-long Ahmedabad Metro service. While addressing a gathering in Jamnagar, Modi asked the Opposition parties to use common sense. He slammed them for questioning his statement that the presence of Rafale fighter jets would have given greater firepower to the Indian Air Force (IAF) during the February 27 aerial engagement with Pakistan. “Please use common sense. When I said if we had the Rafale, the result would have been different, they question the IAF fleet. I am saying that at the time of the (Balakot) airstrike, if our fighters were given Rafale, none of our (aircraft) would have lost and none of theirs (Pakistan’s) would have been spared. If they (Opposition) don’t understand me, what can I do? They have their own limitations,” he said. Referring to the recent Balakot airstrike, Modi said he preferred to do “big things” such as the Ayushman Bharat scheme, among other things. “As you know, small things don’t suit me. Anything that I do has to be big. Didn’t you see recently?” he quipped. 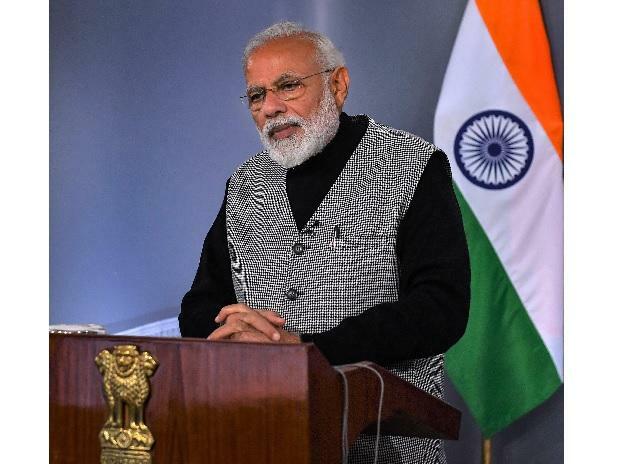 Lashing out at statements from Opposition party leaders who demanded proof of the February 26 airstrike on a Jaish-e-Mohammed terror camp in Pakistan’s Balakot, Modi said his objective was to end terror, while that of the Opposition’s was to remove him. “The root of terrorism scourge is in the neighbouring country. Should we not cure the disease from its roots?” he asked. Modi also expressed confidence of returning after the 2019 elections. “Don’t worry. Even after 2019 (polls), I am there (in Delhi),” Modi told a gathering during the foundation stone-laying ceremony of the Umiya Dham temple complex in Jaspur, on the outskirts of Ahmedabad. He also launched projects like a desalination plant and a 700-bed government hospital in Jamnagar. Among these, the temple holds significance ahead of the general elections, as the local deity Umiya is worshipped by Patidars, the Patel community that has been divided in recent times in its support towards the Bharatiya Janata Party (BJP), especially in Gujarat. The complex is being built at a project cost of Rs 1,000 crore by the Vishv Umiya Foundation. In recent years, youths from the Patidar community have been protesting against the ruling BJP on grounds of unemployment and seat reservation in colleges and jobs. While flagging off the Bandra-Jamnagar Humsafar Express and launching other projects, including the 51-km pipeline from Aaji-3 to Khijadia, the Prime Minister said that structural and long-term measures are required to overcome the challenges faced by the country, instead of poorly thought-through short-term ones. Hospitals that have come up in the past few years in Gujarat will greatly benefit the poor, he said. The Ayushman Bharat scheme rolled out by the Union government will ensure affordable and quality health care for the poor, he added. Modi lauded the water conservation measures adopted by the Gujarat government. The government has big plans to provide water to the people by establishing mega desalination plants, he said. Slamming the Congress, Modi said the party’s programme was to announce farm loan waiver every 10 years and collect votes by fooling the people. “Our government will give direct financial assistance to farmers every year. When Rs 75,000 crore will go to rural economy every year, it will have a positive impact,” Modi said.